While it’s the impressive Tiger tank that usually attracts the most awe, it was the Sd.Kfz.171 Panther that in the long run was a more important tank to Germany during WWII. 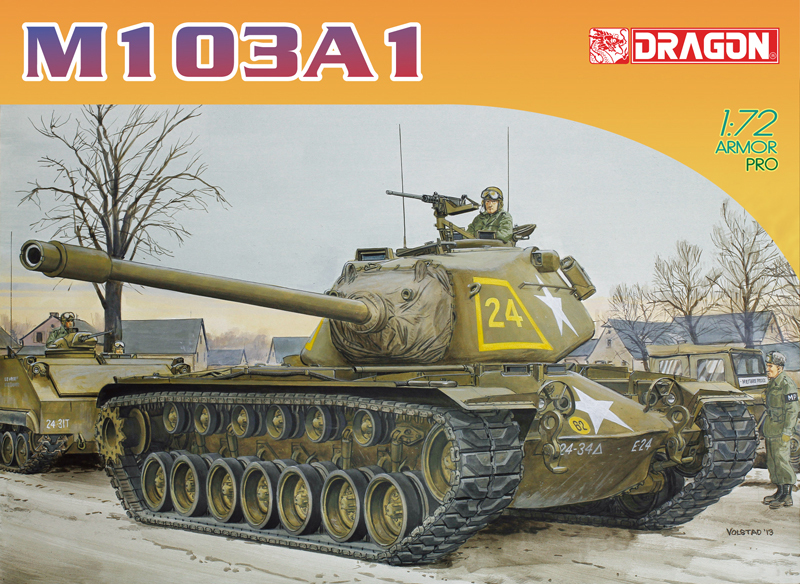 This approximately 45-tonne medium tank represented a good balance of well-sloped armor protection, lethal firepower and able cross-country mobility, the design being inspired by the highly successful Russian T-34. 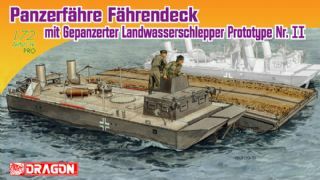 Beginning in December 1942, a total of 842 Ausf.D examples were manufactured through till September 1943, at which time it was superceded by the improved Ausf.A. 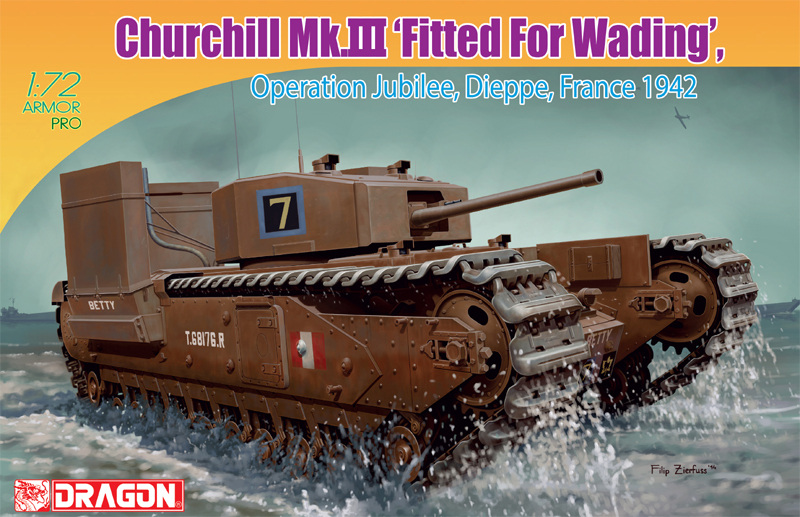 Its combat debut occurred during Operation Zitadelle in the titanic Battle of Kursk on the Eastern Front. Its 7.5cm KwK.42 L/70 cannon took a heavy toll on enemy armored vehicles whenever they were encountered. The Ausf.D is easily identified by the letterbox hatch opening for the glacis machine gun, pistol ports on the turret sides and a drum cupola. 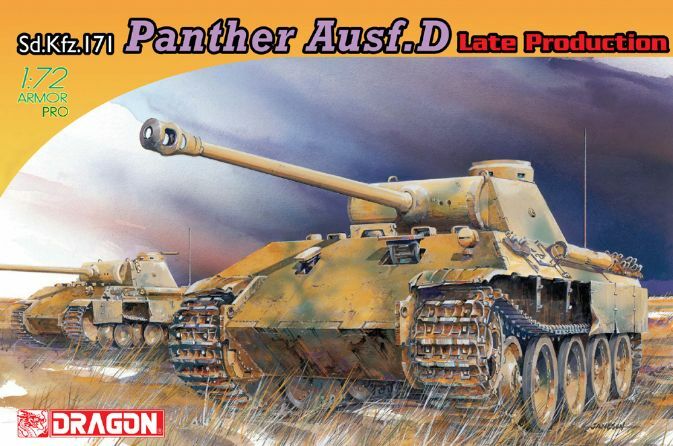 Dragon previously produced a new 1/72 scale kit of an Early-Production version of the Panther Ausf.D, and modelers loved it because of its accurate portrayal of the type. 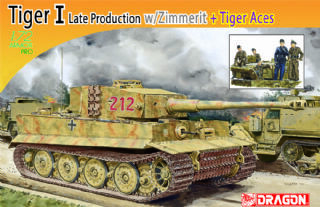 Now modelers are in for another treat because it has just been joined by an Ausf.D Late-Production kit! The upper hull is made as a single piece thanks to the clever use of slide molds. The lower hull tub has been formed the same way, thus ensuring a stable and accurate foundation for the rest of the build. It has newly tooled parts like updated road wheels, a jack rest block on the right side of the hull and a modified cupola with a ring. 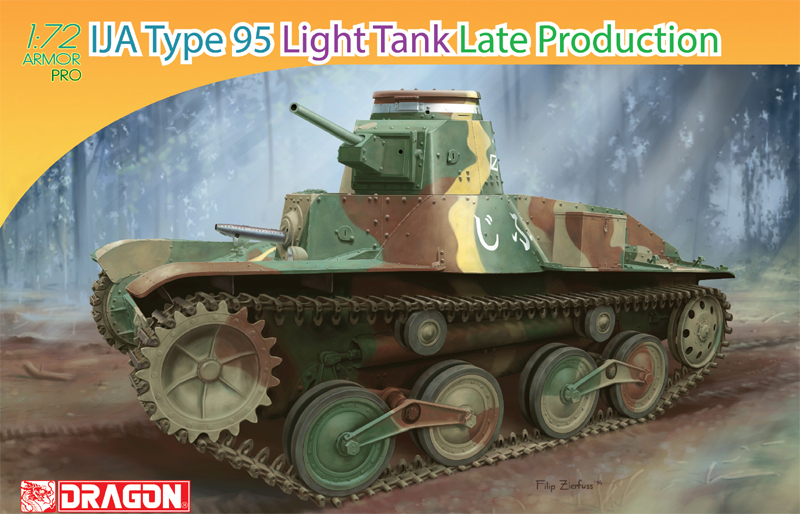 Thus, all the appropriate characteristics of this Ausf.D variant are present. Convenient DS tracks are provided too. 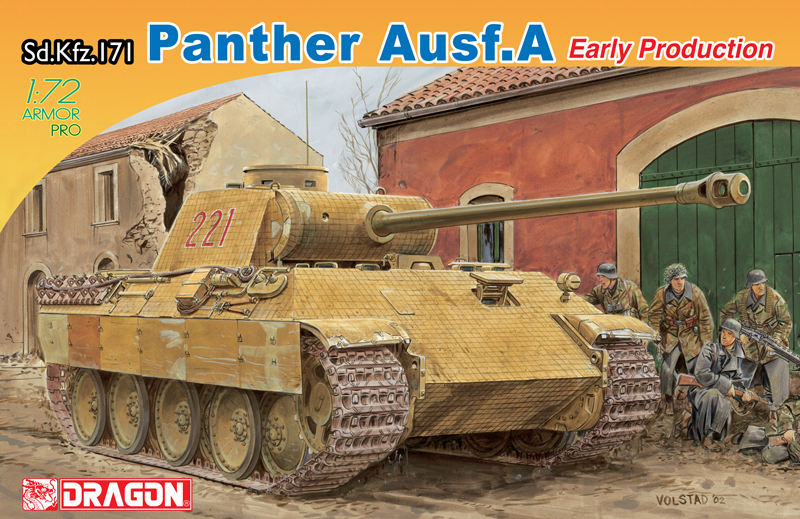 This delectable Panther will have small-scale model-makers purring with pleasure! All side details are separate but the pioneer tools and OVM come "bundled" into assemblies for simpler installation. The hull hatches are molded in place and while the "dustbin" turret cupola consists of two parts, it is obvious that it was not designed to be opened so anyone wanting a figure in the hatch has some work on his hands to make changes. Ditto the rear access/emergency hatch. 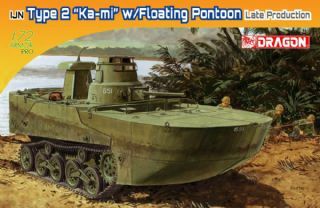 Overall this"Gen 2" Panther kit is a nice effort - hopefully someday DML will revisit its earlier Panthers in 1/72 and give them the same effort. While it’s the impressive Tiger tank that usually attracts the most awe, it was the Sd.Kfz.171 Panther that in the long run was a more important tank to Germany during WWII. 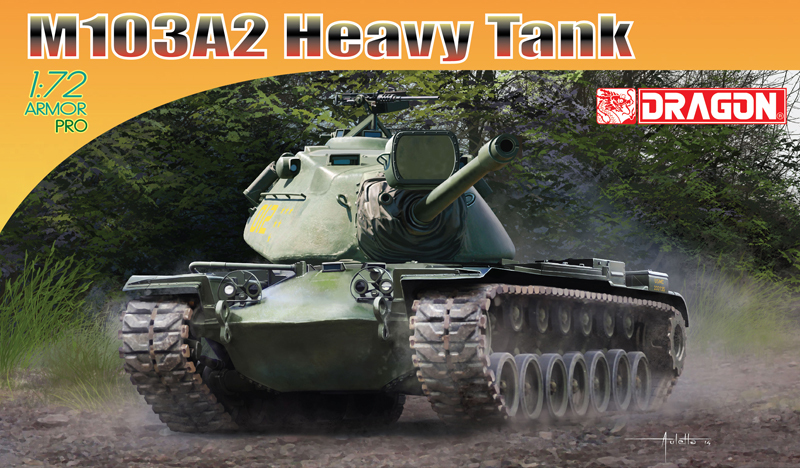 This approximately 45-tonne medium tank represented a good balance of well-sloped armour protection, lethal firepower and able cross-country mobility, the design being inspired by the highly successful Russian T-34. Beginning in December 1942, a total of 842 Ausf.D examples were manufactured through till September 1943, at which time it was superseded by the improved Ausf.A. 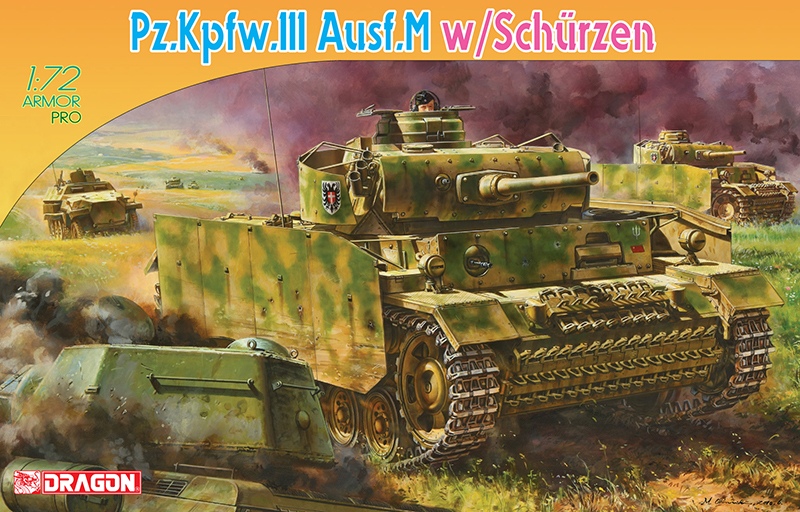 Its combat debut occurred during Operation Zitadelle in the titanic Battle of Kursk on the Eastern Front. Its 7.5cm KwK.42 L/70 cannon took a heavy toll on enemy armoured vehicles whenever they were encountered. The Ausf.D is easily identified by the letterbox hatch opening for the glacis machine gun, pistol ports on the turret sides and a drum cupola. 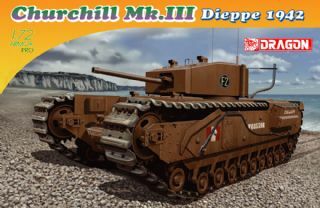 The kit contents consist of three sprues of grey styrene, a slide moulded lower hull, two runs of tan-coloured vinyl tracks, and a decal sheet. 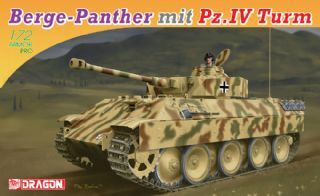 Doesn't sound much...but it is only a 1/72nd scale kit, and even though the Panther was a large vehicle, at this scale, it's a tiny model at just over 9 centimetres in length. Having said that...it's incredibly well detailed! The instructions only run to four sides of their A5 sized instructions, and two of them are used up with artwork, parts map and marking schemes. Construction begins with the roadwheels as you would probably expect. The suspension and axles are supplied already moulded onto the lower hull, so it's a simple task to fix the wheels. Making it even easier is that each inner 'run' of roadwheels is supplied fixed together as one part with a simple plastic bridge between the four wheels. Makes lining them up straight a whole lot easier! The outer wheels are supplied separately...which adds up to incredible looking detail on the finished model. The drive sprockets are each in two parts, the idler wheels in three. Once you have the roadwheels in place, the instructions have you build the rear hull wall, but then to set it aside for later. It's a simple assembly, the wall itself being supplied as one part with stowage boxes moulded in. You do get to add tiny separate exhaust pipes, jack and rear Notek convoy light though. Then it's on to the main deck. Supplied as one part, you have to fit periscopes, front fenders, rear fenders, barrel cleaning rod case, spare tracklink brackets, and tool brackets. Take a look at the pics below and you'll see those characteristic tool brackets that are supplied as one part. Incredible detail for such a small part. The temptation to provide them moulded already on the hull wall must have been hard to resist. There's even a tiny Bosch headlight provided. The crew hatches are moulded shut, and there are no grills provided for the engine deck unfortunately. Don't know if they could have at this scale though? The turret is provided as a moulded shell, sans frontal armour, rear wall and bottom. 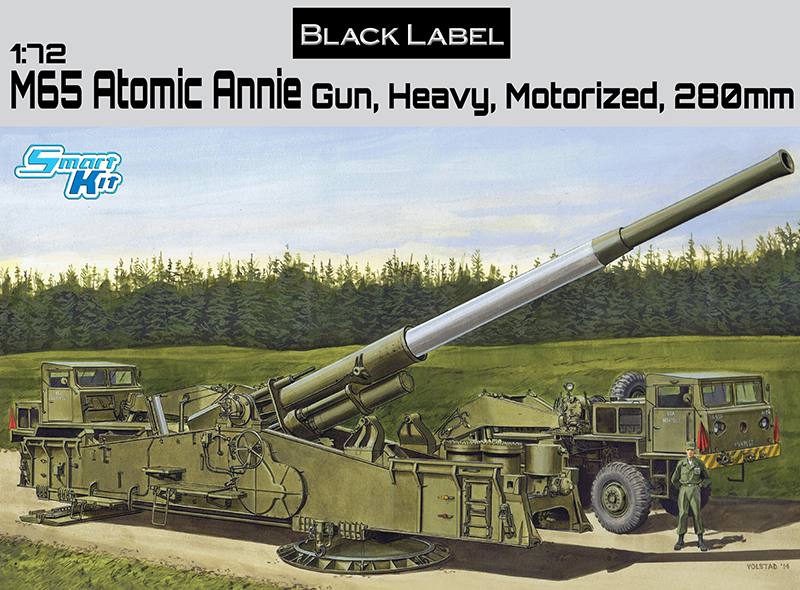 There's no internal detail provided of course, although the main gun itself is provided with a one-piece barrel. It really is one piece too...the muzzle brake is already on it. It's nicely pre-drilled though. The commander's cupola is moulded onto the turret, although the hatch itself is provided as a separate part, so you can have it open on your model if you have a crew figure to go in the space. Once that's all done, the tracks can be fitted. Dragon note on the instructions that these can be gently stretched to achieve the desired length, or cut to make them shorter. Being Dragon vinyl of course, they can be cemented with ordinary styrene cement. Finally, the schurzen can be fitted, each side provided as one length, although if you wish to depict your model with missing schurzen plates, it's a simple job to cut them into sections. On the reverse of the instructions there are two marking schemes for which the decals are provided. See below for full details. Seriously great detail. I might have a go at this one...it has that 'I need to build it' kind of feel! If you're into 1/72nd dioramas, then the closed hatches on the hull may be a slight disappointment, but what a great kit!